Despite the fact that today’s look of Milan is determined primarily by modern architecture, this is a city where one will find a large number of historical sites and attractions. Visitors, who come to Milan for a couple of days, usually get quite a unilateral view of the city. However, this city is much more than just an industrial metropolis - the closer you get to the center of Milan, the more often you will see beautiful old houses, churches and squares. Actually, Milan is so rich in various places of interest that in order to see all the sights you will need more than one day. This cathedral is considered the main attraction of Milan. 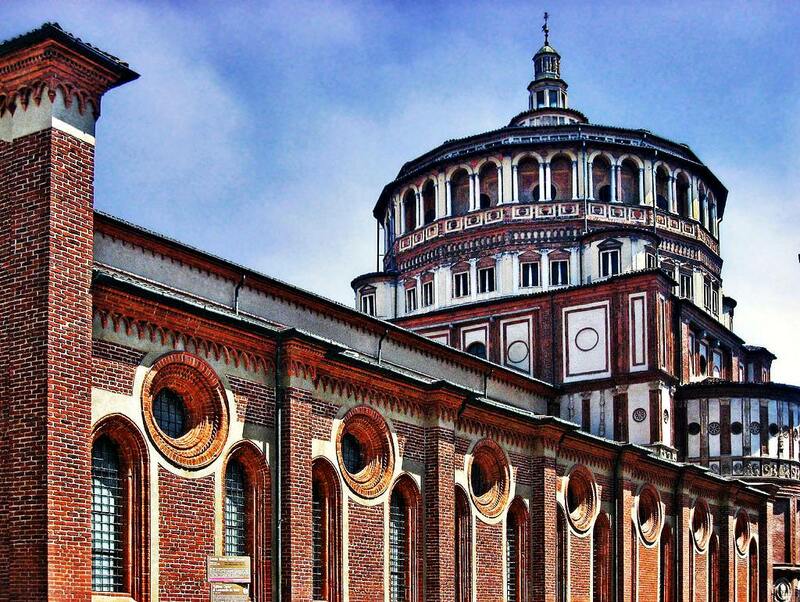 The magnificent Santa Maria Nascente Cathedral is located right in the center of the city. This is one of the largest Gothic churches in the world. Its height is 157 meters, and the width of the cathedral is 92 meters. The construction of the cathedral was started in the XIV century, and it was completed only several centuries later, in the XIX century. The cathedral amazes its visitors not only by its fantastic façade, but also by the decoration of its inner premises. Several mausoleums, a bronze 5 meter tall candlestick, magnificent choirs, stained glass windows of the XVI century - the list of objects worth attention is really long. The roof of the building features spectacular views of Milan. Castello Sforzesco is a huge castle, which is home to numerous museums of the city. Paintings, furniture, sculptures, frescoes, Egyptian mummies, ancient musical instruments and the monumental castle – all these precious items await visitors of Castello Sforzesco . The castle is surrounded by a large garden that is also open to public. The entrance to the castle is free. Museo Poldi-Pezzoli exhibits a collection of artworks gathered by a wealthy Milanese named Gian Giacomo Poldi Pezzoli. In the end of 1881 he gave his collection to the city. The most famous painting exhibited in the museum is, without a doubt, Madonna with Child by Botticelli. The design of the museum and its special atmosphere help to experience the atmosphere of the XIX century. Galleria d'Arte Moderna is located in Villa Reale. This is the place where visitors will be able to see works of French and Italian artists (the exhibition includes many paintings by impressionists) of the last two centuries. The central square of the city, Piazza del Duomo, is the place where you can visit Galleria Vittorio Emanuele II . This is a gallery of the XIX century with a glass dome. The gallery houses exclusive boutiques, expensive restaurants and specialty shops. 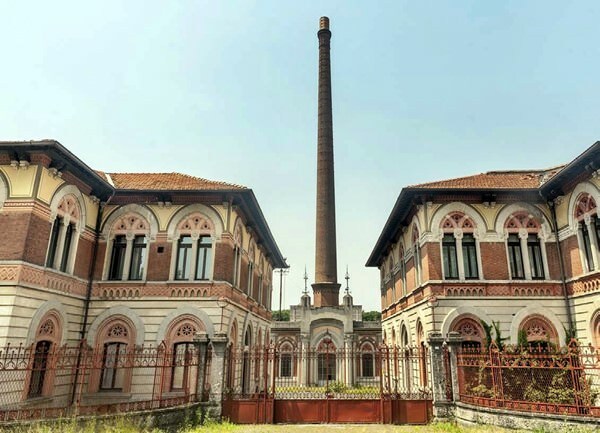 The building was built by the architect Giuseppe Mengoni, who managed to finish the work, but who didn’t see the official opening in 1878 – when construction works were almost over he fell from the roof and died. Make sure to pay attention not only to the glass roof of the gallery, but also to a wonderful mosaic on the floor and a beautiful canopy over the central square, which is widely recognized as one of the most beautiful covered squares in the world. In order to see the graveyard of Cimitero Monumentale, you will need to move slightly to the north of Milan. The huge complex Cimitero Monumentale is rich in historical and architectural monuments. The central building of the cemetery was designed by architect Maciachini and built between 1860 and 1897. The building mostly features the neo-medieval style, but traces of the Tuscan and Venetian styles are clearly visible in its architecture. A large number of chapels and tombs have made this cemetery a kind of an open-air museum with a focus on contemporary Italian sculpture and architecture. The entrance to the cemetery is free. Teatro alla Scala is one of the most famous opera houses not only in Italy, but also around the world. Performing on the stage of the theatre is a huge honor for any opera singer. The interior of the building has more in common with the interior of a cathedral, rather than a concert hall. Actually, the theatre was built on the site of Santa Maria delle Scala Church between 1775 and 1778. The theater was badly damaged during the Second World War, but in 1946 it was re-opened to the public. The building was under restoration from 2002 to 2004. Theater season opens each year on December 7, the day of St. Ambrosius, the patron saint of Milan. 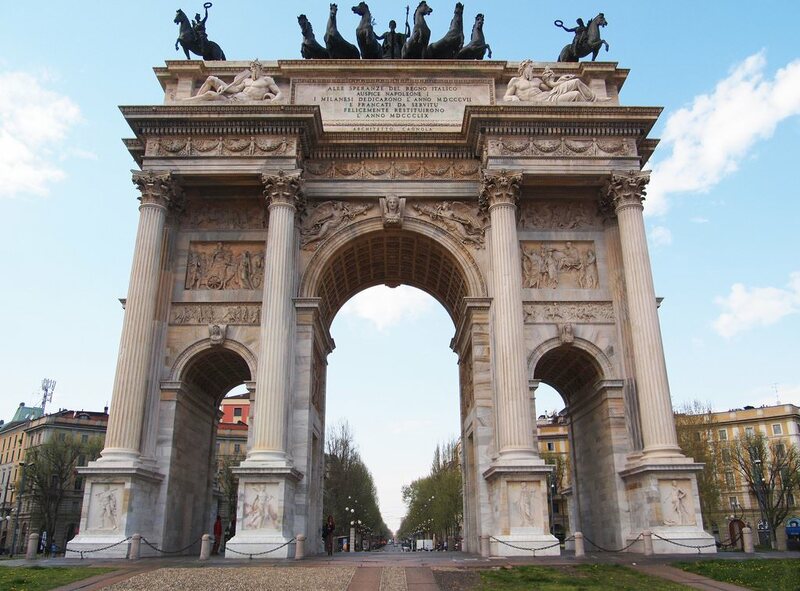 This guide to iconic landmarks and sights of Milan is protected by the copyright law. You can re-publish this content with mandatory attribution: direct and active hyperlink to www.orangesmile.com. Check on the map: Distance from Milan center - 30.7 km. Check on the map: Distance from Milan center - 1.4 km. All about Milan, Italy - sightseeings, attractions, touristic spots, architecture, history, culture and cuisine. Prepare your trip together with OrangeSmile.com - find out the 'must see' things in Milan, which places to visit, which excursions to take, where the breathtaking views are waiting for you. Planning your trip with this travel guide will help your to get the most out of Milan in few days.